C.) A giant garbage dump in Tokyo Harbor that has become the foundation for a new strip of land annexed from the sea. All three of these answers appear equally far-fetched, but the correct answer is C. Isle of Dreams is indeed about a giant garbage dump visited only by sanitation workers, motorcycle-riding derelicts, and a middle-aged widower strangely obsessed with this stinking edifice. This is the setting and inspiration for Keizo Hino‘s of 1985 novel, now translated by Charles De Wolf and available in English. The book’s protagonist, Shozo, is a middle-aged widower absently sleepwalking through life at a Tokyo construction firm. Dramatic tension is gradually introduced into the book when he wanders onto the Isle of Dreams. Here, he is nearly run down by a leather-clad biker, Yoko, a hot babe half his age. Shozo becomes obsessed with Yoko and the island. A melancholy and mystical relationship develops. While the Walter Mitty-meets-Jezebel plotline certainly seems western enough, Isle of Dreams defies western storytelling norms in other ways. Isle of Dreams is a sparse book: only 150 pages, much of it void of dialogue and plot. It is stocked with adjective-rich sentences about what Shozo is seeing and feeling. In place of real action, Hino offers sentences like, “He intuitively sensed a mighty power, an uncanny force of nature surpassing his understanding.” For decades, American community college teachers have scolded young authors to “show” and not “tell;” Hino was not schooled in an American community college. The most interesting element of Isle of Dreams is its intermingling of the real and the unreal. Shozo’s Tokyo is very real—warehouses, apartment flats, skyscrapers—but the Isle of Dreams is not quite real, or perhaps it is more than real. People change when they come to the island; over the course of the book, the island grows and changes. Appended to the Isle of Dreams is an additional and even more mystical island, a polluted and densely overgrown hunk of rock where a fortress once stood prior to Commodore Perry “opening” Japan. This is the site of the book’s transcendental climax. Although largely “westernized,” the Japanese have adopted western institutions with surprising results. They put squid in ice cream and insert bowing into baseball. So too, Japanese novels (that quintessentially western literary form) are derivative of western literary convention only to a point. 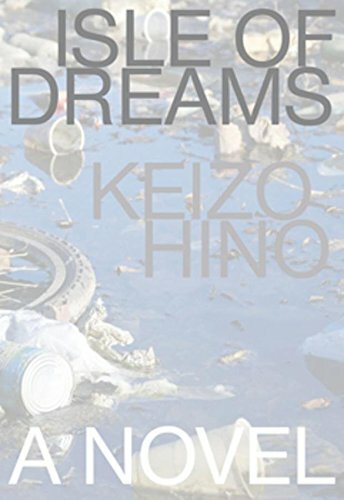 Hino’s Isle of Dreams is illustrative: Its conventional novel form and plotline is superseded by a striking co-mingling of the mundane and mystical, and a modifier-laden writing style that tells all and shows little. This may be off-putting to the typical American reader. While some Japanese novels have been deservedly praised as masterworks (i.e., Tanizaki’s The Makioka Sisters, Kawabata’s The Sound of the Mountain, Ooka’s Fire on the Plain), others may be perceived as equivalent to squid-flavored ice cream.